requirement with RSC's online American Sign Language course. Sign language has grown increasingly popular amongst those interested in learning another language. In fact, American Sign Language is now the second most popular language for online learners at Rio Salado College. The department had experience with online delivery of audible languages like German, French and Spanish, but the sign language class needed unique solutions. The greatest challenge that the school faced was learning how to get the same voice recognition component that existed in other courses to work for the non-spoken language. “We thought that it was a better idea to use something that was common rather than do something different that would be unfamiliar so we incorporated YouTube,” said Felix. Most students already know how to use YouTube, so they can focus on learning the language instead of learning new technology. The course follows the same district-approved competencies, so students can be confident they are getting the same quality as they would in an in-person course. “We’re following the same learning outcomes that are required at the state universities, we’re just finding a more personalized way to do so,” said Felix. It is because of these requirements that students like Ashley Tucker of Arizona State University is able to take the course without worrying about whether or not it will transfer. 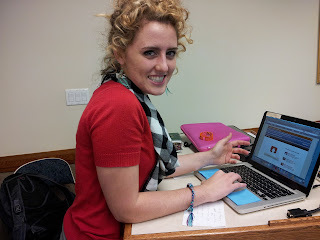 Ashley has completed two semesters of Sign Language and says taking it online and using YouTube is very intuitive. Even without the in-person aspect of the class, Tucker feels her instructors have made it easy to interact. Federal law requires student loans that are issued to students who begin their academic year during the spring term to be released in two equal installments. This rule is complicated and can be confusing for new students, so we’d like to provide a brief overview of how it works. This rule only applies to students who begin their academic year during the spring term. If you started your academic year in the fall term, this does not apply to you. This rule only applies to student loans. It does not apply to grants or scholarships. Students must be actively participating in 6 or more credit hours to receive student loan money. This means your classes must be in-progress and that you are working on coursework for 6 credit hours’ worth of classes. Note: If you stagger your start dates at the beginning of the term, you will not be eligible to receive loan money until you have ramped up to at least 6 active credit hours. If you start the term with 6 or more credits, in most cases you will receive your first loan installment during the third week of class. If you are a first time borrower, you will not receive your loan money until after a 30-day delay required by the federal government. In almost all cases, your second installment will be released at the midpoint of your semester block. We encourage students to use the financial aid disbursement calculator to estimate the date when they will receive their financial aid money. With the holidays around the corner, some might be worried about how to keep a strong mind and body with the extra stress and food that this season can be known for. Cookie Potter, coordinator of wellness education for Rio Salado College, shares some holiday wellness tips. She says that if you are going out of town, having visitors, or looking for some time off work, that eating and exercise routines can be easily interrupted, but there are ways to make sure you don’t let things get out of hand. While traveling, make sure to stretch to help your body better handle the stress and long hours of sitting. When scoping out hotels, looks for options that have fitness centers or you can look for gyms around the area you can go to. “I look for local yoga studios, and I take a class,” Potter said. Travelers should also prepare for contact with large groups of fellow travelers that can take a toll on the immune system. “You want to make sure before you even go on your trip, you’re boosting your immune system,” Potter said. If you are staying home or expecting visitors, you can still make plans before the holidays come to make sure you keep your fitness where you want. Planning ahead of time will make it easier to accomplish your goals. If your holiday season includes family gatherings and parties, over eating can be a big concern. Potter suggests having a healthy snack right before heading to a party so that you aren’t too hungry. She also said that sometimes you might feel hungry, but your body could be asking for something else. “Sometimes you think you are hungry but you are really dehydrated,” she said. Planning ahead how much you are going to eat and setting limits for yourself can make it easier to say no to second or third helpings. Writing goals down for eating and exercise is a good way to hold yourself accountable and help you avoid seasonal setbacks along with added stress and anxiety. Regular stretching and relaxing can help calm the worried mind and bring some peaceful moments into a hectic time. If you are feeling stressed, it is important to give your body a boost with some strengthening nutrients. “Because the holidays can be stressful, I think about vitamin supplements,” Potter said. For those who may feel sad or lonely, one of the best ways to kick the holiday blues is to help someone else in need. “Get out and volunteer,” Potter suggested. For those who may find themselves without plans for the holiday, service is an option as well, and you can even bring the relatives. So whether you are facing traveling, family, massive amounts of calories, or looking for a chance to give to others, make sure that while you are taking care of everything that needs to get done, take care of your well-being. This article can also be found in the December 22 edition of The Tempe Republic. The winter edition of Rio Salado College's quarterly publication, Current, is available in print or online. The magazine was themed around holiday and mail-order catalogs and features a variety of fun articles of interest to the RSC community. Don't worry. They did not demand the sum of...One Million Dollars. Arizona Congresswoman-elect Kyrsten Sinema, Mesa Mayor Scott Smith, Phoenix Mayor Greg Stanton and Tempe Mayor Mark Mitchell met to discuss veterans’ issues at the East Valley Veterans Education Center earlier today. Leaving politics at the door, the four community leaders sat down to take a serious look at the problems facing military veterans and their families. EVVEC, hosted by Rio Salado College, is a collaborative effort of five of the ten Maricopa County Community College District colleges. Its purpose is to provide one-stop support to veterans and their families. Authenticate Identity – To protect students from identity theft, all students are required to provide proof of identity. In most cases this will be a COLOR copy of your current and valid driver’s license. For a full list of acceptable ID and delivery methods, visit the Financial Aid Website. It is important to follow all instructions carefully to avoid delays. Note: Proof of identity MUST be in COLOR. Verify Residency –All students must be classified as either a resident or non-resident for tuition purposes. Students who cannot provide acceptable documentation of legal residency in the United States will be considered an out-of-state student. They will not qualify for in-state tuition or state-based financial aid. Verify Prior Education – Certificate and degree seeking students are required to have their prior education verified by the Office of Admissions and Records. When providing transcripts or other documentation of prior education, it’s important to follow the instructions carefully and avoid mistakes that could cause the documents to be rejected. Financial aid will not be processed until after authentication of identity and prior education has been verified. Note: Validation of prior education does NOT include a transcript evaluation. We strongly encourage students to Take the Next Step and submit a FREE transcript evaluation form as they are completing the prior education validation process. PHOENIX, AZ (December 12, 2012). The Arizona Quality Alliance recently named Rio Salado College a 2012 Showcase in Excellence Award winner for the college’s Course Lifecycle Process. 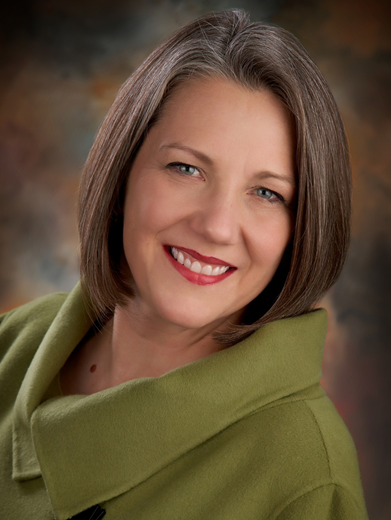 According to Karen Shepard, Executive Director of the Arizona Quality Alliance, the Showcase in Excellence Award program is based on the Malcolm Baldrige Award criteria and encourages excellence in quality, performance and outcomes. “AQA is proud to continue empowering organizations to pursue performance excellence, improve outcomes and contribute to the economic strength of their community and state,” Shepard said. Rio Salado College Vice President of Academic Affairs Dana Offerman said receiving the award reinforces the college’s culture of innovation and its commitment to relentless improvement. The Course Lifecycle Process is a custom built product. It works with Rio Salado’s existing systems to track each course from proposal until retirement. By providing empirical data for review, the process allows decision makers to respond intelligently to changes in the higher education environment. Awards will be presented at a banquet to be held from 11:30am-1:00pm on Tuesday, February 5, 2013 at the Chaparral Suites Resort, 5001 N. Scottsdale Road. Rio Salado College was established in 1978 by the Maricopa Community College District to provide the next step in education for non-traditional students. The college, headquartered in Tempe, Arizona, is one of the largest online public community colleges in the nation serving more than 67,000 students annually. In addition to providing high-quality instruction for 100+ degree and certificate pathways, Rio Salado is dedicated to providing flexible, affordable access through; adult basic education, collaborative partnerships, early college initiatives and online learning. The Arizona Quality Alliance is a 501(c)(3) non-profit corporation that advances improvement and excellence in organizations, communities and individuals throughout Arizona, Nevada and Utah. The AQA is administered by a professional staff under the leadership and guidance of its members and elected Board of Directors. The AQA is also a member of the Alliance for Performance Excellence, a national network of state programs that advance improvement in organizations by using the Baldrige Criteria. Holiday closures and limited service hours may have an impact on the timing of Book Advance disbursements for students who begin classes January 7. Book Advance money for the January 7 start date will be released to eligible students beginning December 17. Although this is 10 days earlier than the standard Book Advance schedule, students should not expect to receive book advance money prior to the holiday break. The early release of book advance money is only for eligible students who are enrolled in classes that begin January 7. No other start dates will be affected. The Book Advances will be manually processed by the Financial Aid department as a courtesy to help avoid delays when purchasing books. Students with the January 7 start date should also plan for limited bank hours, shipping delays and other holiday-related interruptions that could cause problems when ordering books online. When you think of growing produce, herbs, and spices, Arizona may not be the location that comes to mind, but, as it turns out, it is the perfect place to grow these edibles. During winter, greens and other vegetables like kale, arugula, broccoli, eggplant, cabbages, tomatoes, and peppers are readily available. Sundberg says some of these foods and others are even better when left on the vine. This is also the case with peppers. “Peppers that are watered a little bit less have to work harder to provide a better product so you get hotter, sweeter peppers,” Sundberg said. Another plus for Arizona’s growing season is the ability to keep herbs in your garden year round. “Rosemary, basil, pineapple sage, and lemon grass are a few examples,” Sundberg said. As the season changes, the Café at Rio tries to focus on herbs like these and other seasonal foods. Sundberg says the nice thing about having a garden on-site is that things are usually harvested based on need which helps to reduce the amount of leftovers. When dealing with leftovers this holiday season, Sundberg suggests turning those foods into compost or using them in combination with other foods to make an entirely new dish. Here’s one chard recipe to try this holiday season. In a skillet over medium-high heat, heat olive oil. Add garlic, sauté for 30 seconds and then add greens. Sauté greens for 1 minute and then add water. Cover skillet and reduce heat to medium. Let greens steam for 2 minutes. Top greens with Parmesan cheese and fresh squeezed lemon juice. Note: Many recipes call for you to remove the center stem of greens. If your greens are young and tender, this is not necessary. Try this recipe as an appetizer served on top of garlic-rubbed bruschetta toast or as a side dish with your favorite fish. This article can also be found in the December 7 edition of the Tempe Republic. Students are required to maintain a satisfactory grade point average and make progress toward their degree in order to use federal student aid to pay for college. As students complete their courses each academic term, Rio Salado College automatically evaluates whether the Standards of Academic Progress (SAP) set forth by the Maricopa County Community College District have been met. Grade Point Average – Students must meet a minimum GPA based on the total number of credits attempted. Maximum Time Frame – Students who have already attempted more than 150% of the required credits for a program will no longer be able to pay for the program using federal financial aid. Students who do not meet all three criteria for satisfactory academic progress are no longer eligible to receive financial aid and are sometimes asked to return a portion of the aid they've already received. Students who have lost their financial aid eligibility due to unsatisfactory academic progress or to the time frame requirement may appeal the decision using the Appeal for Satisfactory Academic Progress and Appeal for Maximum Timeframe forms. Keep in mind that submitting an appeal does not guarantee eligibility will be restored. Visit riosalado.edu/FinancialAid to learn more about financial aid eligibility requirements. Congratulations to Karen Hawkes of Gateway Community Early College High School in Phoenix for winning the 99.9 FM KEZ Excellence in Education Award for November 2012. Hawkes, was nominated by Peggi Peaslee who works in the classroom with Hawkes on Thursdays focusing on helping students choose a career with purpose. In Peaslee's nomination letter she wrote how impressed she was with Hawkes and her devotion to her students’ success. She even mentioned that Hawkes works to loan business attire out to students who are going to job or college interviews so that they may be able to best represent themselves. "I have observed her teaching and interacting with her class and her passion for empowering and inspiring these students is incredible." Returning to a civilian life can be difficult for some veterans who struggle adjusting to life outside the military. For Lance Fredericks, a veteran of the Marine Corps, going back home to be a stonemason was a more difficult step than anticipated. “It was hard,” Fredericks said. He eventually ended up in prison, where someone gave him a pamphlet about help veterans can receive. When he was released he went to a homeless center for veterans and was assigned a case worker. “She pointed me in this direction,” Fredericks explained. The direction he headed was toward the East Valley Veteran’s Education Center in Tempe, a one-stop shop for veterans and their families. “It made me realize that someone actually cares about vets,” Fredericks said. The EVVEC offers veterans the opportunity to reintegrate with society by helping veterans receive benefits, start on education and set a path for their future. Darcy Breault, the office coordinator at the EVVEC, loves her job because of her passion for helping others. “It’s really a privilege to sit down with someone and help them navigate through these things,” she said. The EVVEC has a computer lab open for use, hosts workshops for resumes, educational and workforce development, and can make referrals to community resources such as housing, medical care, and job listings. “We’re here to listen and support, and be patient,” Breault explained. For David Scoggins, being able to come in, get help applying for benefits and explore his options was exactly what he needed. “The resources here are amazing,” said the Navy veteran. After an honorable discharge from the Navy in 1995, he was lost for what he could do with his life. Scoggins felt like he was lost in the dark, until he walked into the education center. “It was like sunlight when you walk in,” Scoggins described. Scoggins has a bachelor’s degree in social work and is currently pursuing entrance to law school. For Fredericks, the center gave him the opportunity to start getting an education and gave him something to focus on. “School is my social life…it keeps me focused,” he said. For him, the love and support of his parents, along with the help and resources of the education center, gave him the boost he needed to get started on his life. “It if wasn’t for this place, I wouldn’t have anything,” he said. His goal is to start his own business designing customized head stones, which combines his skills as a mason and his college education. Fredericks said it all came down to the moment when he decided to let someone help him out. “It’s a pride thing,” he said. While he has a full day of classes and studying at both Arizona State University and Phoenix College, he still carries pamphlets and hands them out to any homeless veterans he comes across. “To any vets out there, put your pride aside. There’s help out there,” he stated. His dedication to his studies fills his day starting with class at 7:30 in the morning until he returns home at 11:00 at night. “It’s wearing me out, but I am determined to finish it,” he said. The East Valley Veterans Education Center is a unique facility created to provide veterans and their families with educational and vocational resources, all in one location. The 5,000 square foot facility opened in 2011 in collaboration with five colleges of the Maricopa County Community College District; Rio Salado (host institution), Chandler-Gilbert, GateWay, Mesa, and Scottsdale. Government and community partners. Phoenix, AZ – Nov. 5, 2012 — Rio Salado College and 91.5 KJZZ will join together to celebrate the opening of both RSC’s Thomas location and KJZZ’s SPOT 127 Youth Media Center on November 28. The public is invited to attend a traditional ribbon cutting ceremony and program at 8 a.m. and/or a block party celebration that afternoon from 3:30 – 5:30 p.m. at 3631 and 3701 W. Thomas Road, Phoenix, AZ. RSC Thomas focuses on bridging pathways to post-secondary education, internships and career advancement. It provides adult basic education, where students can come take GED preparation classes or learn English as a second language. Essential student services such as academic advising, computer accessibility, a testing center and tutoring are also available at the site for RSC’s online learners. The location is also home to a demonstration kitchen, lab spaces and classrooms to support post-secondary classes. The newly renovated facility is more than 22,000 square feet and opened to serve students in July. The new location is currently serving more than 500 students. While these adult students access resources at RSC Thomas, at-risk high school students are served next door through KJZZ’s SPOT 127 Youth Media Center. SPOT 127 is an innovative after-school program designed to empower high school students through the development of state-of–the-art skills in digital media, radio and journalism. The nine month long program provides access to professional media equipment, mentoring by industry leaders and project-based instruction. The center opened in June with 11 students attending a boot camp session. It is currently teaching a class of 50. “Studies show that students who participate in high quality after-school programs are more likely to earn better grades, develop strong work habits and experience a higher level of self-confidence,” said KJZZ’s General Manager and Rio Salado College Division of Public Service Vice President, James Paluzzi, Ph.D. The nearly 7,500 square foot building was made available through a partnership with the Phoenix Union High School District. Renovations were made possible through the generosity and donations of many community partners. SPOT 127 participant Gabriel Gamino said that he likes the hands on aspect of the program. Media previews are available upon request. Rio Salado College was established in 1978 by the Maricopa Community College District to provide the next step in education for non-traditional students. The college, headquartered in Tempe, Arizona, was recently recognized as the fastest growing community college in the nation serving nearly 70,000 students annually. In addition to providing high-quality instruction for 100+ degree and certificate pathways, Rio Salado is dedicated to providing flexible, affordable access through; adult basic education, collaborative partnerships, early college initiatives and online learning. KJZZ is a listener-supported public radio station that is licensed to the Maricopa Community College District. It is a community service of Rio Salado College’s Division of Public Service, which also includes KBAQ 89.5 and Sun Sounds of Arizona. KJZZ features a mix of local and NPR news, entertainment, jazz and blues—serving nearly 319,000 weekly listeners. For more information, visit kjzz.org. Rio Salado College’s innovative IBEST program gives students a leg up by helping them develop skills in technical fields. IBEST stands for Integrated Basic Education Skills Training program. Current students in the IBEST program are focusing on dental assisting technology. IBEST targets people who do not have a high school diploma. To participate in the program, students must have an 8th grade reading level and meet other admission requirements. Once admitted, students work hands-on and are taught a number of professional skills such as resume preparation, interview and communication techniques, as well as the practical technical skills that are required of the job. After students have learned in class they go out and practice even more by completing a required internship. The IBEST program comes with some challenges that might be a little different than what some students are used to. “The courses are very fast paced and students have to be mentally prepared to take on the challenge,” said Kidd. Students have to abide by a mandatory attendance policy and also take time out to prepare for the course outside of the in-person portion of the curriculum. The time it takes a student to prepare can range from two to four hours per day. With so many adjustments to be made Kidd says it can be a tough challenge to overcome all of the educational and life obstacles. “It typically is a very different pace for the students and it can create a lot of stress,” said Kidd. To help alleviate some of that stress Kidd notes that the college is always ready to offer assistance but it is also the student’s job to seek out help if needed. “We do offer services to help with many obstacles a student may face, including success coaches, advisors and counselors,” Kidd said. Phoenix, Oct. 29, 2012 The BBC Newsday team will be here in Phoenix as part of its coverage of the U.S. Presidential election— to gauge what Arizona residents have on their minds on the eve of the election during a live, special edition of BBC’s Newsday on 91.5 KJZZ, Thu., Nov. 1, 8 p.m. – 1:30 a.m.
BBC hosts Nuala McGovern and Lerato Mbele will be putting Valley residents at the heart of the show’s global news content as they broadcast live from a local family home. From the economy, the deficit and healthcare, to immigration and foreign policy, Newsday hosts will ask Arizonans how these issues affect their day-to-day lives and what they really think about the people in charge setting the political agenda. 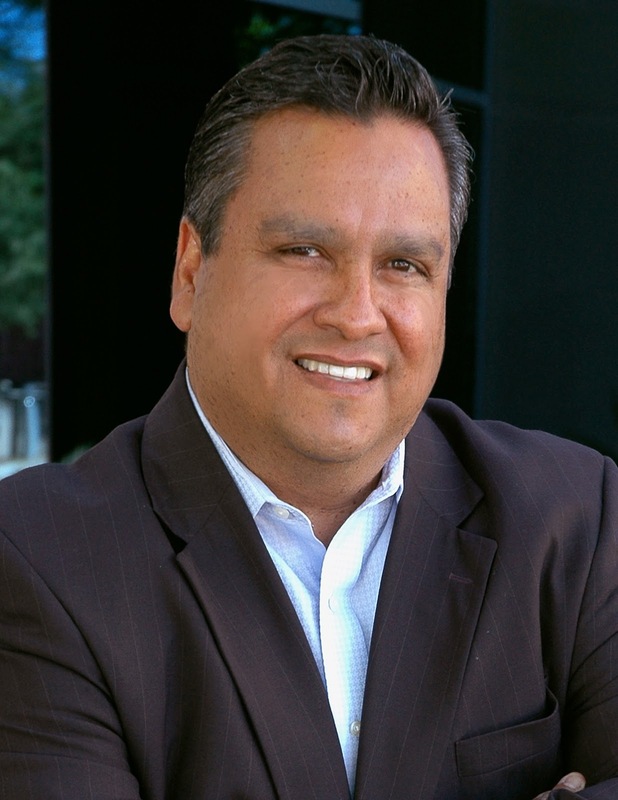 The special will also focus on immigration and the changing demographics in Phoenix, how SB 1070 is affecting the lives of undocumented immigrants and the heated Maricopa County Sherriff’s race with featured guest, KJZZ News Director Peter O’Dowd. 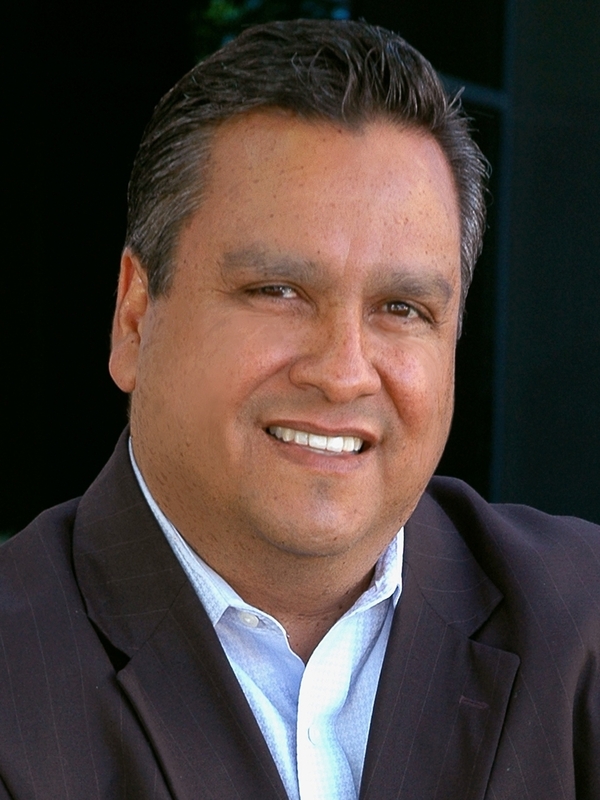 KJZZ Reporter Nick Blumberg will also contribute a report about the sentiments of Arizona’s senior voters and KJZZ Fronteras: the Changing America Desk Reporter Michel Marizco will report live from Tucson on how border issues are playing out in the election. Phoenix is one of three cities Newsday chose to profile as part of its special coverage of the U.S. elections. The first stop was Seattle on Oct. 26 and then the crew is off to Denver for live election night coverage. Newsday is a daily current affairs programs heard on public radio stations throughout the U.S. and globally on the international news network BBC World Service. BBC World Service is an American Public Media program partner featured daily on 91.5 KJZZ. KJZZ invites local media outlets to participate. To schedule interviews with BBC and KJZZ reporters, please contact KJZZ Associate General Manager, News and Editorial Strategy Mark Moran at (480) 774-8230 or mmoran@rioradio.org. Rio Salado College has been awarded $970,000 from Next Generation Learning Challenges (NGLC), an initiative dedicated to improving college readiness and completion to expand higher education pathways in early college programs, educational service partnerships and credit for prior learning. This award is part of the $5.4 million recently awarded to Wave III grantees which comprise 20 secondary and 10 postsecondary schools to support 13 new models of personalized, blended learning. This funding will help Rio Salado College accelerate the timeline to degree completion by providing students expanded opportunity in high schools, the workplace and ability to earn credit for what they already know. In addition, the college will create a customized online student portal where students can see their progress, map their road to degree completion and connect them with mentors to encourage them throughout the process. NGLC’s purpose in funding scalable, breakthrough models is to enrich the landscape of these bold experiments in learning design and to inform the development of innovative practices in other schools and colleges. Through extensive study of the new models’ experience and the sharing of strategies, lessons learned, and evidence – including both positive and negative student outcomes – NGLC seeks to ensure that this new-model development serves the entire education sector, including practitioners, policy leaders, researchers, and innovators. Next Generation Learning Challenges (NGLC) accelerates educational innovation through applied technology to dramatically improve college readiness and completion in the United States. This multi-year program provides investment capital to expand the use of proven and emerging learning technologies, collects and shares evidence of what works, and fosters innovation and adoption of solutions which will dramatically improve the quality of learning in the United States, particularly for low-income students and students of color. NGLC Organizational Partners and Funders: Next Generation Learning Challenges (NGLC) is a partnership led by EDUCAUSE and funded primarily by the Bill & Melinda Gates Foundation. Other partners include the League for Innovation in the Community College, the International Association for K-12 Online Learning (iNACOL), and the Council of Chief State School Officers (CCSSO). Funding for NGLC has also been provided by the William and Flora Hewlett Foundation. Congratulations to Rae "Kimo" Ormsby of Shadow Mountain High School in Phoenix for winning the 99.9 FM KEZ Excellence in Education Award for September 2012. Ormsby, was nominated by Amber Kalsow who is a student in Ormsby's Spanish class. In Kaslow's nomination letter she acknowledged her teacher for his desire to change students' lives through his Spanish class and give them the best education. 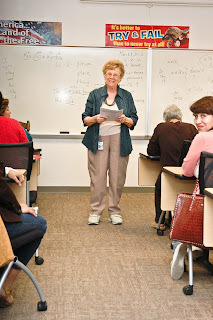 "This course has not only taught me Spanish but it has also made me learn a lot about myself. Kimo makes you think in depth. Kimo is not a person who looks at teaching as his only a job. It is what he loves to do." 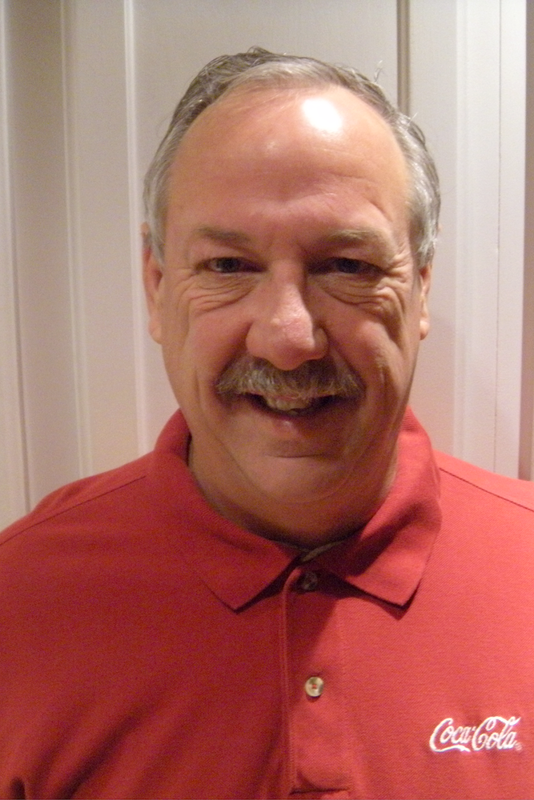 Kevin Puckett had a rough start in life landing him in prison for more than a decade. Despite his rocky past, he's doing well. Puckett was recently released from prison and is now only one class shy of graduating from Rio Salado College with an associate degree. His plans are to continue his education, become a counselor and start his own business. Puckett is one of more than 2,000 students a year who have accessed RSC classes while incarcerated. He began taking courses and found that he was not only capable of completing school work, he was good at it. “For me, it was life altering. I was completely motivated to do something positive,” he said. “The teachers are always very, very fast to say, 'Hey, you know, you are doing excellent.'" Puckett worked hard, saving what little money he earned at his prison job to pay for the classes and proved that he wanted to change his life for the better through education. “I showed Rio Salado that I was a serious student,” he said. Eventually, his efforts as a serious student turned him into a teacher. He began teaching GED classes to other inmates, hoping to inspire them to pursue a better life. Heidi Jaeger, an RSC administrative assistant who oversees much of the incarcerated education programs, sees education as an opportunity for those who are incarcerated. “The ones that have taken courses are well grounded and ready to give back to the community,” she said. Jaeger says that when students can focus on their classes they often avoid trouble. “Once they get those first few classes under their belts, they realize they can reach for the stars,” she said. Laura* was incarcerated for three years. During her time in prison she also took classes with Rio Salado College and now has two degrees. “I just can’t describe what that does for you,” she said about how college classes increased her confidence. Laura was a high school dropout. A long road of mistakes and bad choices left her feeling hopeless and lost until she began her in-prison Rio Salado College classes. “It gave us goals to look forward to. I don’t know where I would be right now without those classes,” she said. College classes can strengthen an inmate's resolve to improve their life. One opportunity leads to another until eventually they've found a way to rise above their mistakes, leaving the past behind them...for good. Rio Salado College has been providing education for the prison population since 1983 and currently provides classes for all of the Arizona State correctional facilities, juvenile detention centers, the Arizona State Hospital, and multiple out of state correctional facilities. *Requested that her last name not be used. This story can also be found in the October 13th edition of the Tempe Republic. Food Day is around the corner and Rio Salado College will be one of many locations to celebrate this national event. The free event, scheduled to take place October 24, has many objectives but its most important goal is to reshape attitudes toward the consumption of sustainable foods. RSC Director of Sustainable Foods Systems Michael Hodgins says sustainability is important because it leads to better individual health and the health of the environment. “Sustainable foods are foods we can obviously eat and they’ll sustain us, nourish us- generally healthy foods,” Hodgins said. Sustainable foods are often preferred over foods produced in the industrial model because they are grown without chemical fertilizers that deplete the soil. Sustainably produced foods are considered healthier and more ideal for consumption. By supporting Food Day and the real-food movement, Rio Salado encourages a more sustainable lifestyle and promotes farm-to-table meals that support local agriculture. Farm-to-table also means the food is coming straight from the farmer, something the college practices in addition to using food from its own garden. With the help of these same farms, RSC’s Food Day celebration will provide a closer look at the principles of the real-food movement from an economic, social and environmental standpoint. All of which, according to Michael Hodgins, are things the college is trying to support and implement. Food Day is open to everyone in the community. It will take place on Wednesday, Oct. 24th from 11a.m. to 1 p.m. at Rio Salado College in Tempe. The event will include gardening demonstrations, cooking demonstrations, healthy cooking tips, and a farmer’s market where people can stop by to shop for local produce. This event is sponsored by the sustainable foods programs at Rio Salado College, Mesa Community College and Tempe High School. Rio Salado College has received an Alfred P. Sloan Award for Excellence in Workplace Effectiveness and Flexibility in workplace practices for the second year in a row. This award is given to employers for their skillful use of flexibility as a strategy to increase workplace effectiveness and success. Winners are identified through a rigorous selection process, which involves an evaluation of employers’ flexibility programs and practices from telecommuting to job sharing to phased retirement programs and a confidential employee survey. The award was presented to the college at the Chandler Chamber of Commerce’s When Work Works recognition breakfast today at the Crowne Plaza San Marcos Golf Resort in Chandler. In addition to receiving the award, the college will also be featured in the next edition of the Guide to Bold New Ideas for Making Work Work. Other award recipients include: Arizona Bar Foundation, Arizona Health Care Cost Containment System, Arizona Small Business Association, Autohaus Arizona, Inc., BDO USA, LLP, Deloitte, GoDaddy.com, Henry &Horne, LLP, Infincom, KeatsConnelly, KPMG, Microchip Technology Inc., Morrison & Associates CPA, Orchard Medical Consulting, Ryan LLC, Scottsdale Healthcare, Southwest Institute of Healing Arts, Verde Valley Sanctuary and Wist Office Products. This is an initiative of Families and Work Institute (FWI) and the Society for Human Resource Management (SHRM), the Alfred P. Sloan Awards for Excellence in Workplace Effectiveness and Flexibility are part of When Work Works, a national project to educate the business community on the value of workplace effectiveness and flexibility. The Chandler Chamber of Commerce is a membership organization, serving the business community of Chandler, Arizona and the East Valley. The Chandler Chamber of Commerce supports business and our community by providing vital programs and services that attract and retain business while embracing our diversity. The Chandler Chamber of Commerce is the only chamber in Arizona to be selected as a community partner in this endeavor. 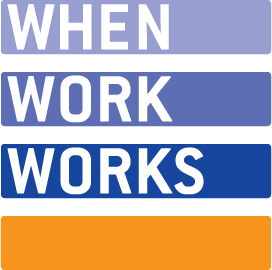 When Work Works is a national initiative, led by the partnership of Families and Work Institute and the Society for Human Resource Management (SHRM), to help businesses of all sizes and types become more successful by transforming the way they view and adopt effective and flexible workplaces. 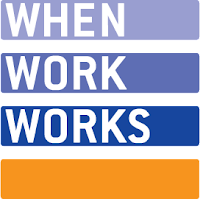 When Work Works is one of the foremost providers of resources, rigorous research and best practices on workplace effectiveness and flexibility in the nation. The initiative administers the prestigious Alfred P. Sloan Awards for Excellence in Workplace Effectiveness and Flexibility annually, which recognize exemplary employers for using flexibility as an effective workplace strategy to increase business and employee success. Visit www.whenworkworks.org and follow us on Twitter @FWINews and @SHRM. The National Association for Community College Entrepreneurship (NACCE), the nation’s leading organization focused on promoting entrepreneurship through community colleges, has announced that Chris Bustamante, president of Rio Salado College and Shari Olson, president of South Mountain Community College have joined its new Presidents for Entrepreneurship Forum. Through this program, 186 community college presidents nationwide have committed to increase the focus on entrepreneurship at their institutions and the impact these colleges have on the economic wellbeing of the communities they serve. Rio Salado and South Mountain Community College are both part of the Maricopa Community College District located in the greater Phoenix area. • Create broad exposure to their college’s commitment to entrepreneurship. The National Association for Community College Entrepreneurship (NACCE), which celebrates its 10th anniversary this year, is an organization of educators, entrepreneurs, and distinguished business development professionals providing quality programs and services in entrepreneurship education and serving as advocates community-based entrepreneurship. Founded in 2002, NACCE is at the heart of the "entrepreneurship movement.” Through membership, an annual conference and exhibition, a quarterly journal, monthly webinars and podcasts, a dynamic list-serve, and other resources, NACCE serves as the hub for the dissemination and integration of knowledge and successful practices regarding entrepreneurship education and student business incubation. These programs and courses advance economic prosperity in the communities served by its member colleges. NACCE is a founding member of the White House-led Startup America Partnership. For more information, visit http://www.nacce.com. Follow NACCE on Twitter at @NACCE and like the NACCE – National Association for Community College Entrepreneurship page on Facebook. Rio Salado College was established in 1978 by the Maricopa Community College District to provide the next step in education for non-traditional students. The college, headquartered in Tempe, Arizona, was recently recognized as the fastest growing community college in the nation serving more than 67,000 students annually. In addition to providing high-quality instruction for 100+ degree and certificate pathways, Rio Salado is dedicated to providing flexible, affordable access through; adult basic education, collaborative partnerships, early college initiatives and online learning. South Mountain Community College (SMCC) has served the higher education needs of Phoenix, Ahwatukee, Guadalupe and Laveen for more than 30 years, offering associate degrees, certificates of completion, courses that transfer to universities and technology training to more than 10,000 students annually. SMCC is one of the ten Maricopa Community Colleges. On Wednesday, October 10, the Library at Rio Salado College will host a virtual reference session for students. During this session, students will get help finding research sources, learn how to build a better bibliography and refine their keyword search strategy. The session is available anytime between 5:30 and 7 p.m. through teleconference or Join Me Pro online access. Teleconference: Call 480-517-8900 [Long distance call (800) 729-1197 (#8)]. to students from all over the world. Language is an important communications tool used by people every single day. For those who are not literate in a language, problems can arise not only with communications, but with self-esteem, and personal, educational and financial success. As the nation observes National Literacy Month in September, Rio Salado College does its part year round by offering free in-person English Language Acquisition for Adults (ELAA) classes. Currently, more than 1,800 students are taking advantage of ELAA classes. Much like coming in from different places, the program caters to those with different educational needs. “Students come to us with widely varying educational backgrounds. Even those who have many years of education back home may have not been in the classroom for many years. They have to start all over again and learn how to be a student,” Liddicoat explained. The good thing about the instruction is that although the students have to start again by learning how to be a student, they can do so at their own pace. This may sound strange but it serves a greater purpose, a purpose that targets the optimal outcome for the student. Whether fast learners or not, most of the ELAA students at Rio Salado walk away with more skills than they initially had. Liddicoat said he feels it would be quite difficult to carry out day-to-day tasks without having learned these skills. Given these scenarios, Liddicoat knows Language literacy is very important. With his help, and that of other faculty members at Rio Salado College, the college is well on its way to ensuring the students gain the necessary tools to effectively develop and enhance their Language Literacy skills. Published in the Tempe Republic Saturday, Sept. 29, 2012.